Generation Citizen applauds Mayor de Blasio for prioritizing democracy reform, including civics education, in his State of the City speech tonight. Nationwide, political disillusion, disengagement, and illiteracy are rampant across all age demographics, especially in local politics. These challenges are especially pronounced among young people. Nationally, only 8 percent of 18–24-year-olds voted in the 2014 midterm election. Locally, the 2017 New York City mayoral primary election witnessed the lowest voter turnout seen in the city since World War II. During these politically divisive times, our youth are hungry for concrete tools that empower them to take action to effect change on pressing issues impacting their communities, like community-police relations, bullying, gun violence, and sexual assault. Generation Citizen, a national education nonprofit working to bring civics education back into classrooms across the country in an action-oriented way, has been educating and empowering the City’s youth since 2011. Over 18,000 New York City middle and high school students have found their voice and advocated for systemic local policy reform during the school day through Generation Citizen’s standards-aligned Action Civics curriculum, making the site the largest in the organization. For effective civics education to work well, we need committed government partners. Generation Citizen is excited to have another partner in City Hall committed to championing youth civic engagement. The City Council has consistently demonstrated its commitment to youth civic engagement investing over $1 million over the last two years to help Generation Citizen educate and empower over 7,000 young New Yorkers, including over 3,700 students this year alone, with the civic knowledge and skills they need to be lifelong, active participants in our 21st century democracy. The Council’s investment has allowed Generation Citizen to deepen its partnership with the City University system to recruit more college volunteers to co-facilitate Generation Citizen’s Action Civics curriculum alongside experienced New York City public school teachers, as well as serve as peer-to-near-peer mentors for New York City public school students. Generation Citizen also offers a teacher-led model to provide teachers with the training and support necessary to facilitate our Action Civics curriculum and teach nonpartisan advocacy in the classroom. This year, Generation Citizen is educating over 700 students through this teacher professional development model, which is replicable for scale. 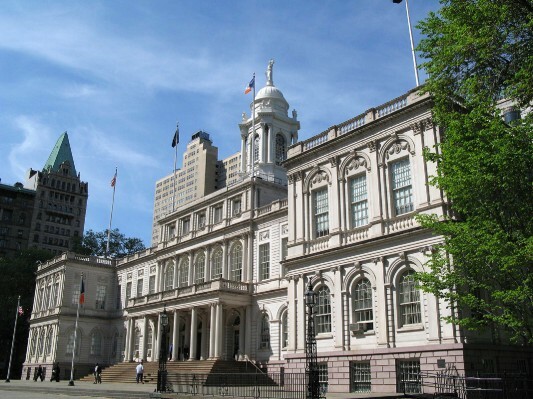 Generation Citizen looks forward to partnering with the Mayor and the new Chief Democracy Officer to ensure that all middle and high students citywide receive an effective Action Civics education. We also look forward to ensuring that our youth have concrete opportunities to further their civic engagement beyond the classroom, including through meaningful and informed voter registration, as well as through Generation Citizen’s Community Change Fellowship, Participatory Budgeting and Community Boards, where 16 and 17 year olds are able to serve thanks in part to successful advocacy by Generation Citizen and others. Mayor de Blasio and his Administration can play a pivotal role in ensuring that civics education becomes a citywide priority, and tonight is a positive step in that direction.